JUSTICE SCALIA: And this was misdemeanor assault and battery, wasn't it? ASSISTANT SOLICITER GENERAL NICOLE SAHARSKY: Yes, that's right. 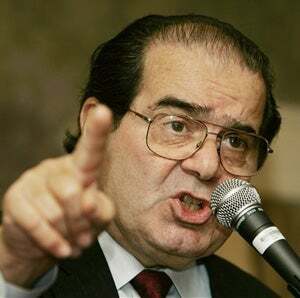 I mean, I really - SCALIA: So it's not that serious an offense. That's why we call it a misdemeanor. SAHARSKY: Well, I mean, certainly the offense is this particular case was serious. The charging document reflects that Respondent hit his wife all around the face until it swelled out, kicked her all around her body, kicked here in the ribs- SCALIA: Then he should have been charged with a felony, but he wasn't. He was charged with a misdemeanor. JUSTICE GINSBURG: Wasn't the — wasn't the statute responding to just that problem, that domestic abuse tended to be charged as misdemeanors rather than felonies? And it was that fact that the Senator was responding to when he included misdemeanor. The whole purpose of this was to make a misdemeanor battery count for the statute's purpose.